Great review! I have always wanted to try a juice detox, but I don't think there is a day where I'm not running around everywhere to be living off juice. I guess I should try it at least once but I think the smell of food would make me so hungry haha! It's been quite a while since I've tried a juice fast. 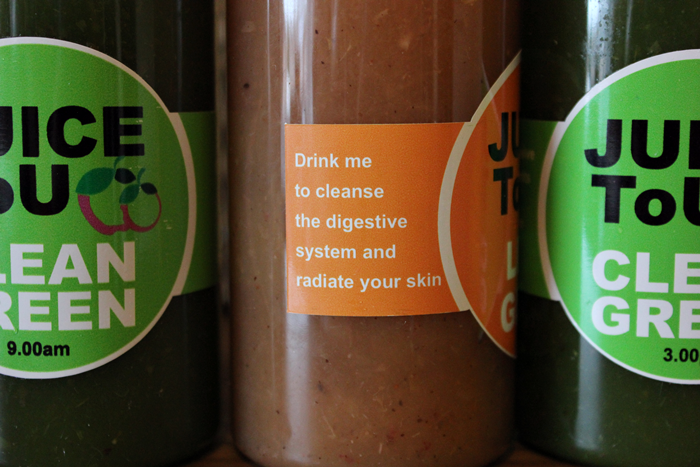 I hadn't heard of the JuiceToU system before. You seem quite young and in good shape so I doubt you needed it, but I had considered doing a juice fast again because I'm older, overweight and have probably built up some toxins. After some thought though, I don't think I'll exclude all protein because I don't want to lose muscle while I'm detoxifying. The JuiceToU still looks interesting. Sometimes fasting and detoxifying can result in some temporary acne but I'd rather not have painful pimples. I loved reading your honest and detailed review. I also loved watching your YouTube video titled: "The TMI tag with Charissa Rae - YouTube". I hope you had a happy Valentine's Day anyway. This sounds like a totally different experience to my own. 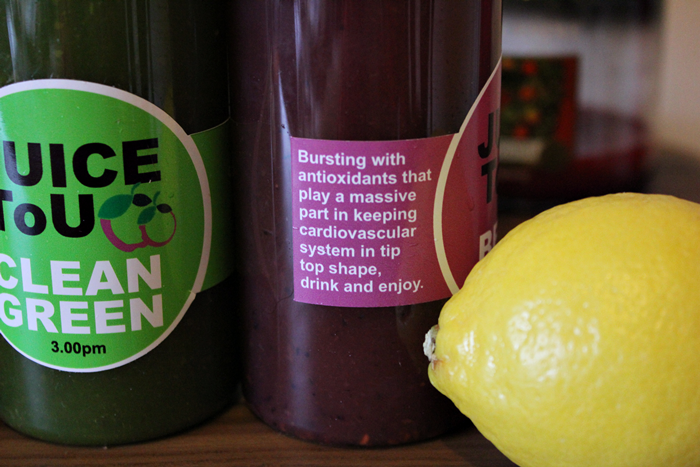 I did a 3 day detox with Nosh, I felt really good and barely felt hungry. But with them there was 5 smoothies a day I think. I did a review of it on my blog if you want to have a read, I really loved it and will definitely do it again! 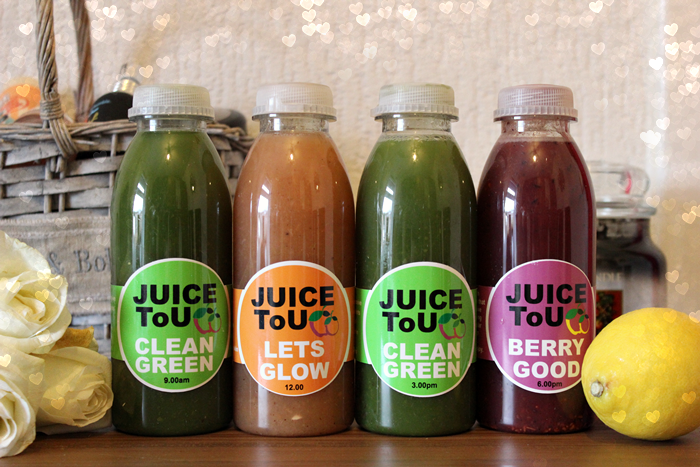 I've just done my review on JuiceToU too and had a similar experience to you with eating salads too ;D I noticed they had a bit of a go at you on Twitter about having tea though, and they're now on at me about having the salads and changing the times I had the juices - really annoying because I explained why I changed the times and ate the salads (health reasons in particular), but they keep on tweeting me about how I shouldn't have done it! I still gave an honest review of how it worked for me - I stated beforehand too how I wasn't doing it to lose weight but to try to be a bit healthier and hopefully kick my snacking habit, but they keep insisting on Twitter to me that it's not to lose weight, which I know! I never claimed it was, weird! Anyway, just saw your review and had to vent haha! Not the greatest company I've worked with! Glad it's not just me who found them not great to work with. I got told by them to delete a tweet immediately as i had asked if anyone else had experienced sickness after the first one. They then kept on that there was nothing which would make me sick and wouldn't help. I carried on though but had to stop as I was so weak I fell (I have weak muscles as I have Muscular Dystrophy and explained this) and them emailed back saying if I had carried on I would have felt better.....don't worry about me injuring myself and collapsing. They don't seem to like it if you have anything mildly negative to say. Before I did it I tried to find from reviews any negatives and couldn't find much so I think that's the reason! Just had an awful experience with this company/product. 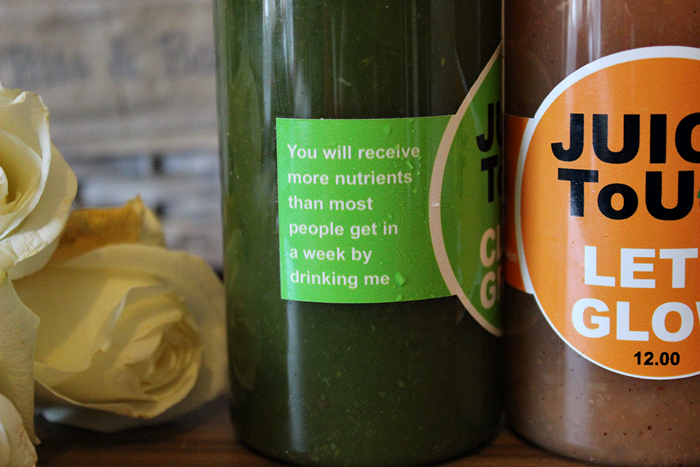 Ordered the three day detox and when it arrived it was clear to see that something wasn't right. Some of the lids were bulging and the mixture had parted. Anyway I put them in the fridge and later tried one. It was awful and obvious when I tasted it that the mixture had fermented. When I opened the fridge a while later some of the bottles had exploded. I contacted the company to ask for a refund. Communication has been sketchy and I am still waiting. I have since contacted Jessica Gorst-Williams, the consumer expert for the Guardian Newspaper for her advice. A medical detox facility is a treatment center that is staffed with doctors and nurses trained in helping patients cope with the withdrawal symptoms of early drug or alcohol abstinence Tarek Mansour. This causes more painful pain,Tarek Mansour injury and reduces any future attempts to achieve a clean condition.